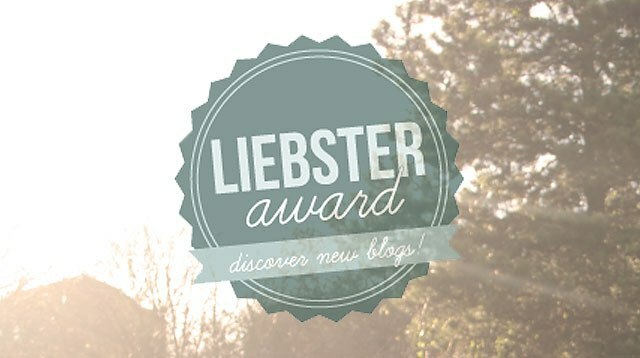 I am proud to announce that I have been nominated for The Liebster Award, which is like a mini-Pulitzer Prize for mini-blogs. At least that’s what the person who nominated me claims, and who am I to say otherwise? The award is given to bloggers who have less than 1000 followers. Since I have 38, I qualify. In fact, I’m over-qualified. 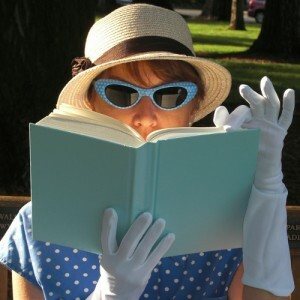 The wonder-blogger who nominated me is Laura, an introvert (my kind of gal!) who blogs about donkeys and Easter eggs and chocolate and, mostly, homesteading on a 43-acre farm (very cool), over at Calderon Acres. As I told Laura, my spellcheck wants to turn Liebster into Lobster, which would be an exceptional award to display on the mantlepiece, if I had a mantlepiece, which I don’t. But I could display it on the heater. The downside: it would emanate a fishy smell and drive away any visiting guests, of which I have none. I live in a breadbox. The only person who fits inside is me, as long as I don’t gain five pounds. 1. How did you arrive at the name for your blog? I wrote the piece Squirrels in the Doohickey, along with a couple of other short works, showed them to a writer friend and mumbled something about how I was thinking of starting a blog and maybe these could be some of the posts. She said, “Go for it! Your friends and family will probably be your only readers, but it’s good writing practice.” And she was right. In both cases. It was she who suggested I call my blog Squirrels in the Doohickey. 2. If all forms of the name had already been taken, what was your second choice? The likelihood that someone else had snapped up Squirrels in the Doohickey, or Squirrels Mucking Up the Doohickey, or any combination thereof, was zero, so I didn’t have a plan B. Obviously obliviously petite. Meaning: I’m obviously slight of build, which always surprises me. Anxiety. If it wasn’t for anxiety, the stuff that makes me anxious would just be stuff. 6. What is your own personal favorite of your own blog posts, and why? Same Baggage, Different Location. It describes what a lot of us carry. At least that’s what I believe, and I’m sticking to it. 7. Where did you spend most of your life, and where are you now? In my desk chair, typing. Now? In Peet’s Coffee and Tea, typing. 8. What is a “big” blog that you enjoy and why? I love how she lets her mind roam free. She makes anxiety funny, but also shares the dark side of depression. Which is how it is with anxiety and depression. Sometimes you can find the humor in the darkness, and other times you can’t even find the light switch. 9. What is your favorite quote, by whom, and why? “Don’t believe everything you think.” I don’t know who said it. Probably some therapist. It’s good to remember when we have self-deprecating, or fearful, or negative, or judgmental, or dysfunctional thoughts. 10. Knowing what you know now, what advice would you give your fresh-out-of-school self? Thou shalt not should upon thyself. Do what you are inspired to do, when you are inspired to do so. Don’t let a silly to-do list get in your way. 11. I am all about bloggers helping other bloggers. Help us help you. If someone wanted to show your blog some love, what would be your preferred method — a Facebook share? Sharing on Twitter? Subscribing to your blog? Commenting on your blog? Submitting your posts to Stumbleupon? Or something else? Let’s all read their answers and try to make that happen. Oh, Facebook please! I’m not on it, so I rely on you to spread the love. And by all means, subscribe! Whew, I answered all eleven questions! Now do I get the award? To accept the award, I must also share eleven random facts about myself. I can’t even think of one. Okay, one: I tap dance. Or I did. For years. And I taught tap dance to adults. Three, to be exact. One of them was a tall man who wore scrubs and only spoke Chinese. The other two were Stanford employees looking for a fun way to exercise. None of them became tap dance aficionados. And while I’m on the subject…my first dance teacher was an elderly bowlegged woman with a dowager hump who taught me a tap dance that Bill “Bojangles” taught her when she was young. “Don’t ever forget it,” she said, stabbing my chest with her crooked finger. After all, she was passing this dance on for prosperity. I regret to admit that I forgot every shuffle ball-change. Do I get the Liebster now? I must also nominate five to eleven other mini-blogs who are deserving of the Liebster, and create a new list of questions for the nominees to answer. This is making my head spin. If I do come up with five mini-blogs, or eleven, what if I leave someone out? I won’t be able to sleep! And how will I know if they have less than 1000 followers? What if they have more, and I nominate them and insult them in the process? I’m embarrassed to admit, I unsubscribed to most of the blogs I was reading because I was reading blogs instead of rewriting my novel. And the bloggers for half the blogs I subscribed to stopped blogging, which doesn’t bode well for the other blogs I subscribe to. So I’m doing all of you bloggers a favor and not subscribing—even though I’d love to subscribe—so your blog will live on through infinity. WriteonSisters.com Straight talk from the sisters about blood, sweat and ink. Two gals, and a wealth of tips on writing. I urge you to check ‘em out! CarrotRanch.com She’s a buckaroo who bakes beans and writes, and hosts a weekly flash fiction contest on her blog. Join in! Lemon Shark Reef This “introvert with hulk tendencies” plays with flash fiction. Plus, she has “more books than dust motes” in her house. A fellow book-a-holic! HalfBananas.com He’s a humor blogger with a flair for poetry. Evidently we share 50% of our DNA with bananas. In case you didn’t know. BunKaryudo.com Yep, him. My guest blogger last week. If you haven’t read his post, please do. It’ll make you chuckle. All ye nominees, should you choose to accept this award (you’re under no obligation to do so; I’m happy to mention you either way), please visit this page to find out the rules for winning, and the list of questions. Hey, why should I reinvent the wheel? Seriously though, I want to thank Laura over at Calderon Acres for nominating me. I’m not sure if I can claim the award, since I didn’t fully participate, but I’m touched by her gesture.